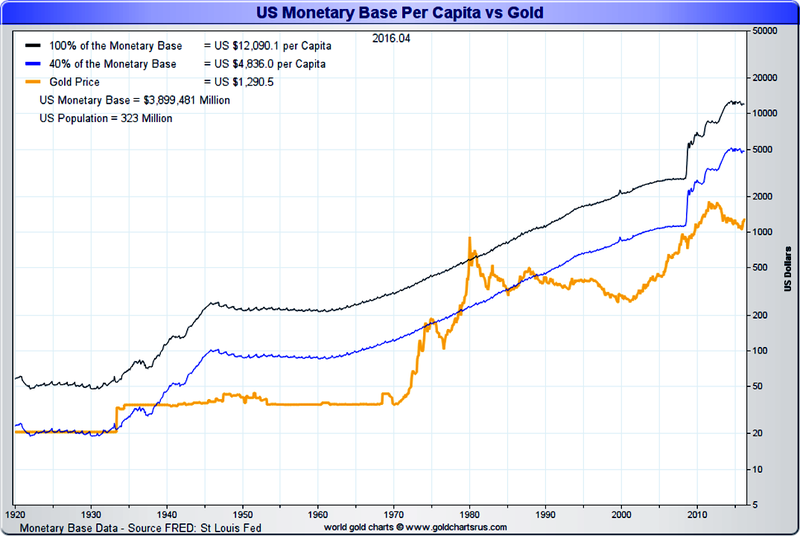 If one compares the US monetary base per capita vs the price of gold in US dollars, we can see a historical relationship that diverges for long periods of time, but always seems to return to a closer relationship during periods of financial stress. This is the case that some might make for gold with a price target of $5,000 per oz., which the potential to spike as high as $12,000. Personally I hope we do not see financial stresses that drive the price of gold to that higher level.